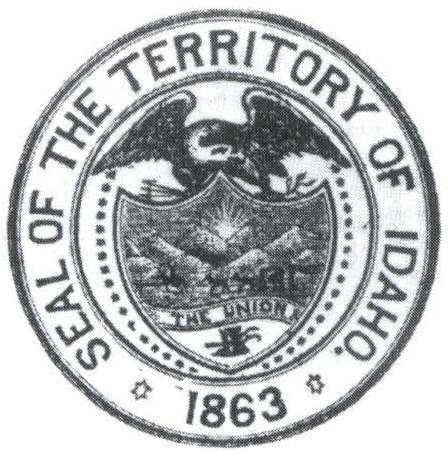 No official record remains of the adoption of the first Great Seal of Idaho when it became a territory in 1863. The design is attributed to Silas D. Cochran, a clerk in the office of the Secretary of State. 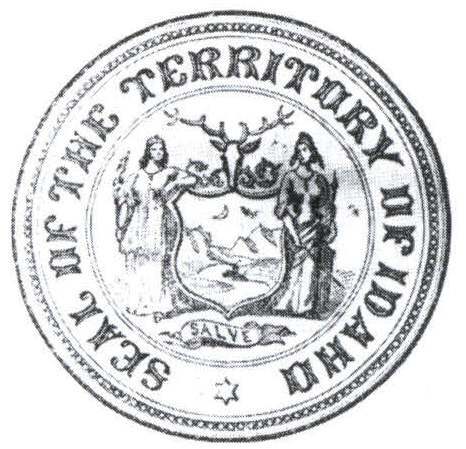 Dissatisfaction with the official seal caused Governor Caleb Lyon to present a seal of his own design which was accepted by the Idaho Territorial Legislature on January 11, 1866. This, too, was controversial and was redrawn several times. Nevertheless, it was used until Idaho became a state in 1890. In 1957, the thirty-fourth session of the Idaho legislature authorized the updating and improvement of the Great Seal in order to more clearly define Idaho’s main industries, mining, agriculture and forestry as well as highlight the state’s natural beauty. Paul B. Evans and the Caxton Printers, Ltd. were commissioned to revise the seal. This painting by Paul B. Evans officially replaced the original design by Emma Edwards Green and is designated as the "Official Copy." The official Great Seal of the State of Idaho can be seen in the office of the Secretary of State. Idaho became a state on July 3, 1890 and that same summer a talented young woman came to the state capitol at Boise to visit relatives. Emma Sarah Etine Edwards (later she married mining man James G. Green) was the daughter of John C. Edwards, a former Governor of Missouri (1844-48) who had emigrated to Stockton, California where he acquired large land holdings, a beautiful French Creole wife, Emma Catherine Richards, and became Mayor of Stockton, in about that order. 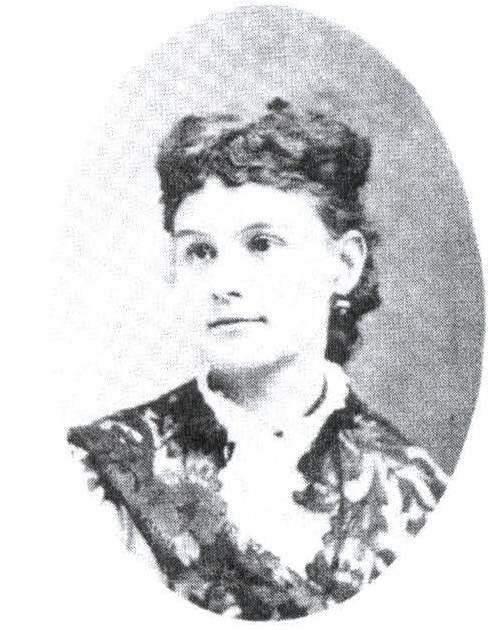 Emma, eldest of a family of eight, was exceptionally well educated for a woman of that period and when she dropped into Boise, it was on her way home from a year spent at art school in New York. However, what was to be a very short visit turned into a lifelong stay, for she fell in love with the charming city and its people and opened art classes where the young pioneers of the community learned to paint. Shortly after her classes started, she was invited to enter a design for the Great Seal of the State of Idaho. Acting on Concurrent Resolution No. 1, adopted by the First Legislature of the newest state in the union, a committee was appointed from that body and instructed to offer a prize of one hundred dollars for the best design submitted. Artists from all over the country entered the competition, but the unanimous winner was young Emma Edwards, who became the first and only woman to design the Great Seal of a State. She was handed the honorarium by Governor Norman B. Willey on March 5, 1891. The state flag also carries the seal centered on a deep blue background. Emma Edwards Green had no children of her own, but assisted in rearing a nephew, Darell B. Edwards, a distinguished Oakland attorney. Ralph Edwards of "This is Your Life," also a nephew, shows a valid artistic strain flourished in the Edwards family. Mrs. Green died in Boise January 6, 1942. She was buried beside her husband in Oakland, California. Before designing the seal, I was careful to make a thorough study of the resources and future possibilities of the State. I invited the advice and counsel of every member of the Legislature and other citizens qualified to help in creating a Seal of State that really represented Idaho at that time. Idaho had been admitted into the Union on July 3rd, 1890. The first state Legislature met in Boise on December 8, 1890, and on March 14th, 1891, adopted my design for the Great Seal of the State of Idaho. The question of Woman Suffrage was being agitated somewhat, and as leading men and politicians agreed that Idaho would eventually give women the right to vote, and as mining was the chief industry, and the mining man the largest financial factor of the state at that time, I made the figure of the man the most prominent in the design, while that of the woman, signifying justice, as noted by the scales; liberty, as denoted by the liberty cap on the end of the spear, and equality with man as denoted by her position at his side, also signifies freedom. The pick and shovel held by the miner, and the ledge of rock beside which he stands, as well as the pieces of ore scattered about his feet, all indicate the chief occupation of the State. The stamp mill in the distance, which you can see by using a magnifying glass, is also typical of the mining interest of Idaho. The shield between the man and woman is emblematic of the protection they unite in giving the state. The large fir or pine tree in the foreground in the shield refers to Idaho’s immense timber interests. The husbandman plowing on the left side of the shield, together with the sheaf of grain beneath the shield, are emblematic of Idaho’s agricultural resources, while the cornucopias, or horns of plenty, refer to the horticultural. Idaho has a game law, which protects the elk and moose. The elk’s head, therefore, rises above the shield. The state flower, the wild Syringa or Mock Orange, grows at the woman’s feet, while the ripened wheat grows as high as her shoulder. The star signifies a new light in the galaxy of states… The river depicted in the shield is our mighty Snake or Shoshone River, a stream of great majesty. 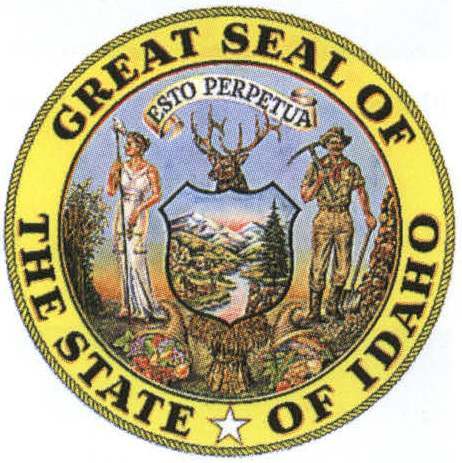 In regard to the coloring of the emblems used in the making of the Great Seal of the State of Idaho, my principal desire was to use such colors as would typify pure Americanism and the history of the State. As Idaho was a virgin state, I robed my goddess in white and made the liberty cap on the end of the spear the same color. In representing the miner, I gave him the garb of the period suggested by such mining authorities as former United States Senator George Shoup, of Idaho, former Governor Norman B. Willey of Idaho, former Governor James H. Hawley of Idaho, and other mining men and early residents of the state who knew intimately the usual garb of the miner. Almost unanimously they said, “Do not put the miner in a red shirt.” “Make the shirt a grayish brown,” said Captain J.J. Wells, chairman of the Seal Committee. The “Light of the Mountains” is typified by the rosy glow which precedes the sunrise.